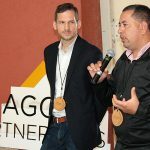 Supporters from all over North America are dedicating their athletic accomplishments to help provide technology to end poverty for rural Nicaraguans. From running 5Ks to marathons to competing in triathlons, your hard work can translate into making a difference and mean a better future for communities in Central America. Sign up to fundraise for EOS, by turning your training miles into donations. We will provide you with materials you’ll need, some great ideas for fundraising, and a chance to meet and make new friends, all the while you are helping make the world a better place. Choose an event and set a fundraising goal. We recommend that you have minimum fundraising goal of $1,000. There are great premiums as you move up with your goal, including an expense paid trip to Nicaragua! Bring along some friends—at least three—it is always more fun in a group! Go through your contacts, your parent’s holiday card list, your college alumni roster, everyone you know should know how you are going to make a better future and ask them to help. We will provide drafts of emails, letters, and tweets to send to help spread the word! Share on social media regularly (we will give you some ideas and samples). Remember, if you don’t tell others about your plans, it is like winking in the dark—you know what you are doing, but no one else does! Thank donors as they give—(crucial to thank in a timely manner). We can provide sample thank you letters. 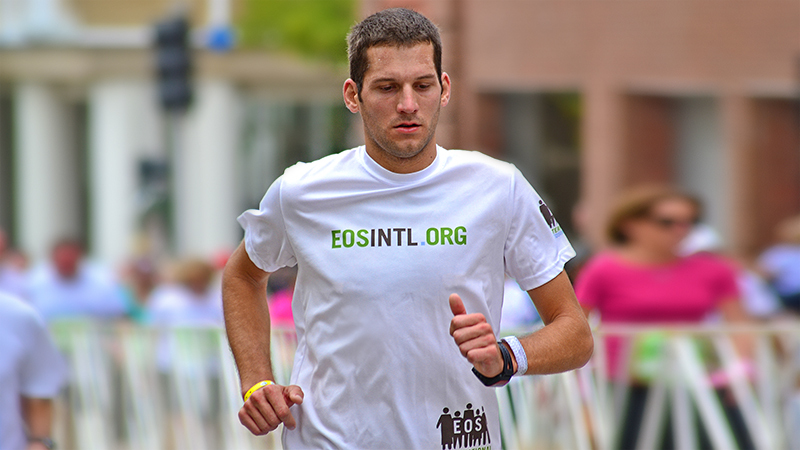 Run, bike, swim, and/or walk with your EOS shirt on! Send a follow up message to all your supporters, post pictures, celebrate! I consent to EOS International collecting my details through this form.